The Evangelii Gaudium of Pope Francis has been received the world over as a radical new direction by the Vatican. As scholars discuss its implications, the document’s most poignant edicts are directed at an unlikely field of inquiry—the impact of religion on global economics. In it, Pope Francis delivered a provocative repudiation of the excesses of Western free market Capitalism, stating that we “can no longer trust in the unseen forces and the invisible hand of the market.” His message was delivered not to the masses, but rather directly to decision-makers positioned at the top of the food chain in global economic affairs – and centered on the impact of Western religions on economic decision-making. Regardless of the reaction to the Pope’s polemic on consumerism, the impact of religious theology on economic decision-making is a provocative subject. In the information age, a critical question emerges: have economic frameworks failed to account for the intuitive impact of Eastern religions on globalization? Needless to say, the influence of Steve Jobs gives room for pause. Yet, without an effective framework to cultivate a movement for change, Pope Francis’ prospects for building greater momentum show little hope of coming to fruition without a broader examination of the world’s religions. Such a framework will require the efforts of not just the Catholic Church, but the collective moxie of the world’s major faith traditions, and a corresponding pivot weighted towards Eastern religions. With over 85 percent of the world’s population adhering to a given faith tradition, the prominent role religion plays in the human conscience is well-accepted knowledge. Yet, discussions on how world religions impact economic decision-making rarely occur in modern economic fora. If future global leaders are to cultivate and maintain an understanding of the role world religions play in economic decision-making, they will first have to understand how religious theology influences their markets, an endeavor that should include an Eastern perspective. A comparative review of five major religions revealed important edicts that form an innate ethical framework woven into to the social fabric of global leaders and the economic decisions they make. Ultimately, cultivating a “religionomic” perspective is a value-added endeavor for global leaders, because it develops a better understanding of the cultural forces affecting global markets, and at the same time uncovers potential Eastern remedies to the economic problems noted by Pope Francis, and sought after by innovators like Steve Jobs. What is meant by the term “Religionomics?” Religionomics is the study of the core teachings of a given religion and its impact on the field economics. It is primarily grounded in the understanding that humans form the basis of their decision-making by utilizing their individual ethical frameworks. These frameworks are often interwoven with the theology of individual human religious values. Ultimately, economic decisions are affected by our ethics, both at a theoretical and pragmatic level. Therefore, it is important to incorporate a “religionomic” perspective when trying to understand the economic, values-based behaviors of others. Examining five major religions uncovers important insights on how leaders can best utilize religionomics to innovate. In this article, the author believes that global leaders can be more effective by integrating, or at the very least, appropriately considering Eastern religionomics in their decision-making. Before introducing Eastern religionomics, it is important to introduce Western religionomic theory to establish a familiar point of reference. Max Weber provided one of the most comprehensive treatises on Christian economic theory. In 1904 he wrote The Protestant Ethic and the Spirit of Capitalism. In it he outlined the primary themes of capitalism in the Protestant ethic, and separated the pursuit of wealth and personal gain from the concept of capitalism. He believed that the true capitalist mindset involved the generation of profit through peaceful economic exchange. For Weber, mercantile operations formed the basis for economic systems. However, he drew a distinction in the West by explaining that a structured labor organization was a key component of market economies. The concept of salvation formed the foundation for Protestant economic perspective, but took on a slightly different meaning among its denominations. Weber believed that since many Protestant groups held that only some human-beings were chosen to be saved, an eternal feeling of loneliness resulted in the performance of “good works” to attain surety of salvation. In the Calvinist tradition, the self-confidence once found in the clergy eventually migrated to that of labor and occupational success during the industrial revolution. The development of a diligent work ethic and avoidance of needless wealth earned its place in the moral fiber of Protestants. The Pietists believed that formation of a work ethic led to a lifelong commitment to respectable professions such as clerks, laborers, or domestic workers. As a result, Protestant sects advanced economically during the industrial revolution, and garnered highly-skilled labor and administrative positions in the evolving capitalistic economy of Europe during the 1800s. Ultimately, Weber attributed the rise of capitalism to the Protestant ethic. The Protestant ideal of leading an ascetic lifestyle and the pursuit of salvation through a diligent work ethic formed the foundational values-sets of labor-based economies, and helped propel the West into the Industrial Age. Remnants of this “religionomic” foundation still exist today. As Treasury Secretary Hank Paulson noted during the 2008 global financial crisis, a distinct “moral hazard” existed when he considered bailout of financial institutions on the verge of bankruptcy. He felt that there was an ethical problem with repeatedly rewarding banks for pursuing wealth at the risk of jeopardizing the economy. In his book, Confidence Men, Ron Suskind attributed Paulson’s perspective to his religious background by stating, “As a Christian Scientist, Paulson fell back on the old standard: God helps those who help themselves”. Max Weber believed he had revealed the religionomic source of capitalism, as well as the ethics through which Western economic perspectives were formulated (an ethic applied by Paulson during the 2008 crisis). From this example, we can see the important role religionomics can play in economic decision-making. In his book, Economic Morality and Jewish Law, economist Aaron Levine described the religionomics of Judaism as primarily deontological, or rooted in moral obligation. He believed that the welfare economic approach in the West was consequentialist in nature, and justified policy decisions and governmental activity based upon whether the endeavor promoted long-term economic growth. In sharp contrast, Levine described that Jewish law established economic decisions not through its consequences, but rather through the intrinsic qualities of human ethical principles, regardless of long-term effects. At the core of his approach is the Jewish moral code, which prohibits the infliction of harm upon another, even if the action would result in the maximization of wealth. From this and other Jewish codes emerge a host of economic edicts that shape the Jewish view on economics. Falsity in advertising provides a clear example of how Jewish morality affects economic actions. Under Jewish codes no more than 10-15% of buyers may be deceived by a given advertisement. In order to assess this, Jewish religious scholars require businesses to conduct market surveys to assess compliance. If one rents a cow from another and lends it to someone else, and it dies naturally, the renter must swear that it dies naturally, and the borrower must pay the renter. While rudimentary in nature, Jewish scholars interpret and apply this edict to insider trading, whereby investors borrow stock from a brokerage firm, and then sell the stock as its value declines. The investor subsequently repurchases the stock at a lower price and returns the stock to the lender. In short, doing business with another person’s property is forbidden according to interpretations of Jewish text and considered an unethical practice. The Torah also establishes a prohibition against unethical price setting. Leviticus 25:14 states, “When you make a sale to your fellow or when you buy from the hand of your fellow, do not victimize one another”. Price controls are used for hayyei nefesh, or essential food. Enacted in approximately 240 C.E., the ordinance required sellers of essential foods to restrict their profit margins to no more than 20 percent. Of course, price controls can create unintended consequences in global markets, a fact that sparks considerable debate among Jewish and non-Jewish economic scholars. The concept of hayyei nefesh exists for a fundamental reason–the general concept of excessive profits, particularly in the case of essential items such as food, could constitute excessive usury and harm the poor. Levine writes that Judaism also offers religionomic interpretations in areas such as education, taxes, and warrantees. Contributions by the community to the education of children on Jewish traditions incite considerable debate among scholars, especially on the issue of taxes. While economists like Milton Friedman believe that a government subsidy is most appropriately applied through a voucher system, Levine proposes that the Jewish community independently raise funds to finance religious education of the poor. Regardless of the concepts under continual interpretation and debate by Jewish scholars, the religionomics of Judaism offer more than a cursory pursuit of profit margin—imbedded in its theology is a moral code designed to encourage leaders to protect citizens from economic harm. Islam is perhaps the most deontological of the world’s major religions. Its edicts, delivered primarily through a system of Shari’a supervisory boards, prescribe an array of economic and financial pragmatics that rival most Western systems of regulatory governance. At the same time, Islam retains characteristics common to many of its fellow religious traditions throughout the world. Like other Abrahamic religions, Islam promotes caution against usury of the poor, fairness in the marketplace, and avoidance of the evils of excess. Huston Smith, an eminent authority on comparative religion writes, “Some have gone so far as to characterize the Quran as a businessman’s book. It does not discourage people from working harder than their neighbors, nor object to such people being rewarded with larger returns.” Yet the fact that entities such as “Islamic Financial Institutions” exist generates an imperative for a discussion on the facets of Islamic Finance that distinguish it from economic theories practiced in other religions. Mahmoud El Gamal, author of Islamic Finance, Law, Economics, and Practice, provides a comprehensive assessment of Islamic economics. As members of the world’s fasted growing religion, Islamic scholars have developed an open system of dialogue on the interpretation of the economic edicts prescribed by Islam. A central economic concept in Islam is to avoid excessive usury of the poor. The term “riba” denotes forbidden usury through unfair loan practices, usually through the use of high interest rates. Awareness of riba among leaders aims to protect individuals from becoming excessively indebted, as well as protect consumers from receiving unfair compensation for receipt of credit. El Gamal also presents “Gharara” as another regulatory measure in Islamic economics. Gharara prohibits the accumulation of excessive amounts of risk or uncertainty in market transactions. He writes that Islamic scholars established a debt to income ratio of 33 percent to prevent investors from acquiring assets that accumulate large amounts of risk. However, El Gamal also writes that despite the establishment of riba and Gharara as regulatory ethics, work-arounds have emerged that have resulted in the “Westernization” of Islamic economic regulatory practices. One alternative used in real-estate that has been very popular in Islamic finance is the use of multiple sales, or Special Purpose Vehicles (SPV) in a transaction. In this transaction the mortgagee must first purchase the property from the seller, then obtain title either directly or through a SPV. The bank may in turn sell the property on credit. In his assessment, El Gamal believed that “work-arounds” such as the SPV implemented to meet Shari’a Law reflected an inefficient and somewhat cosmetic system, requiring significant reform. Translating Islamic law into core economic principles within a complex environment requires an effective governance system to ensure Islamic principles are accurately applied. Shari’a advisory boards are established in Islamic countries to apply “Islamicity Criteria” to financial applications. Industry-sponsored institutions such as the Accounting and Auditing Organization for Islamic Financial Institutions (AAOIFI) interpret fundamentals and develop practices consistent with the determinations of Islamic jurists. Islamic nations also develop institutions to apply these standards, such as the State Bank of Pakistan or the Bahrain Monetary Agency. A rudimentary examination of Islam reveals religionomics that extend well beyond fundamental economic ethics, and into the realm of modern financial pragmatics. Yet, El Gamal assesses the religionomics of Islam as inefficient in application, citing numerous examples of how special provisions that preserve Shari’a edicts result in unnecessary transactions. The economic practices of Islamic nations, particularly in the oil industry, also add to the debate on whether its religionomics are more Western in practice. Nevertheless, the religionomics of Islam, however complex, establish a strong connection between theology and economic decision-making. It is well published by Western historians that the fundamental sources of economic theory, as well as the first economists, were Greek. Yet the roots of economic thinking, to include the concepts of resources, production, exchange, profit, and taxation were well represented in the ancient Hindu writings called the Vedas. Among the world’s oldest texts, the Vedas are dated to 1500-1000 B.C.E. and contain much of the philosophy of the Hindu religion. In Hindu Economics, noted Indian Economist, M.G. Bokare contrasts Western economics with Hindu economics. Bokare adopts a polemic approach to Western capitalism in order to introduce Hindu economic principles. He utilizes the ancient Hindu text the Arthashastra to elaborate on the fundamental focus of Hindu economics. The word “Arthashastra,” translated literally from Sanskrit into English, means “Economics.” The Arthashastra, written by Kautilya in approximately 400 B.C.E., establishes one of the first historical uses of the lexicon: economics. In it, Kautilya introduced the fundamental premise of Hindu economics in the Vedas. Bokare writes, “[The] Holy Vedas have blessed mankind with plentiful supply. The demons, i.e. the natural difficulties, would be removed by knowledge, specially science and technology. The misutilization of resources will be corrected by penalties”. Bokare establishes the concept of abundance as central to Hindu economic theory, which is in stark contrast to the concept of scarcity practiced in Western economics. Bokare writes, “The consumption for living should be consistent with the activities for righteous life”. From a theoretical perspective, this concept aligns closely to Neomachean Ethics, in which Aristotle states, “The happy man lives well and does well; for we have practically defined happiness as a sort of good life and good action”. However, Bokare argues that this is a departure from modern capitalistic societies which are consumption-based, designed to maximize profit, and do not achieve long-term happiness for consumers. In the Hindu system, abundance is managed by a self-sufficient, self-employed rural class. Supply and demand merge at the market price of goods, resulting in a downward trend of prices. Bokare writes that if local economies engage in moderation, and families remain true to their professions without a need for excess, economic balance remains and prices retain a downward trend. Of course when all classes “maintain their roles,” the fundamental opportunity to pursue greater opportunity is quelled. Bokare states that a system of caste results, and “assigned roles” are maintained with a degree of happiness in the citizenry. However, reality in India offers a different picture. Large numbers of the population in India (home to the largest population of Hindus in the world) live in extreme poverty and local governments suffer from widespread corruption. Usury of the poor in rural India leaves the Arthashastrian system with many questions on its efficacy. Furthermore the opening of the Indian economy in the early 1990s under a primarily capitalistic approach has created a booming middle class, largely due to the abundance of low wage rates and technological advancement. The rising middle class in India provides even more evidence that India has benefitted more under an open market capitalistic system and competitive wage rates that benefit consumers all over the world. Advancements in telemarketing, education, and agriculture have also drastically reduced poverty and illiteracy rates, and greater access to healthcare in rural areas in India. Siddhartha Gautama (also known as Buddha) was a reformer. Born in approximately 563 B.C., he was a prince who lived in luxury as the son of a king. In his twenties a troubling feeling settled upon him that caused him to leave his family and lifestyle for a path of complete renunciation. The Buddha did not believe that the path to salvation would be found through traditional roles, as in Hinduism. Subsequently, he rejected the concept of caste and social groupings. He claimed no inspiration from God, nor did he believe in the institutions associated with religion. Yet, the economic implications of Buddhist philosophy are far reaching. For Buddhists, happiness and satisfaction are achieved by reducing the human desire for possession. Sulak Sivaraksa, a noted Asian social thinker and activist, believed that a more naturalistic approach to economics was required to solve the problems of excess in capitalistic societies. Like Bokare, Sivaraksa’s book, titled The Wisdom of Sustainability, is a polemic on Western economic principles, primarily concerning the problems of excess, free enterprise, and large-scale globalization. Like Hindus, Buddhists believe that abundance is provided by nature, and it is the duty of humanity to manage the resources wisely. This occurs in a system in which consumption results in regeneration through natural cycles. Consumption based systems operating independently result in scarcity, rising prices, and the production of waste. In Economics as if People Mattered, E.F. Schumacher draws a similar conclusion on the dangers of modern capitalism. He writes, “A modern economist may engage in highly sophisticated calculations on whether full employment ‘pays’ or whether it might be more economic so as to ensure a greater mobility of labor and a better stability of wages. Buddhists believe that focusing on production rather than people is subhuman, and a “surrender to the forces of evil”. Rather, human qualities are valued, such as the purification of human character through work done in preservation of human dignity, peace and freedom. A feeling of belonging to the ecosystem is paramount, in order to cultivate the means of maximizing value. Creativity through philosophy, the arts and religion occurs at little cost. Both Schumacher and Sivaraksa offer a comprehensive polemic on the dangers of Western capitalism, the free market system, and globalization. However, it is important to note that trends from the past three decades offer a distinctly different picture on the subject of globalization. While technology has created a desire for excess goods and services, it has also enabled rural communities to better access to educational products, technology, and communication. Furthermore, globalization and free market trends are expected to reduce mass poverty by approximately 50% in some scenarios over the next 30 years. While many Buddhists (certainly Sivaraksa) would most likely argue that the bi-products produced by these initiatives outweigh the benefits, the positive impact globalization has had on developing countries is virtually irrefutable. Irrespective of this trend, the religionomics of Buddhism offers insight on human wellness, and an important starting point for the “humanization” of economic systems. 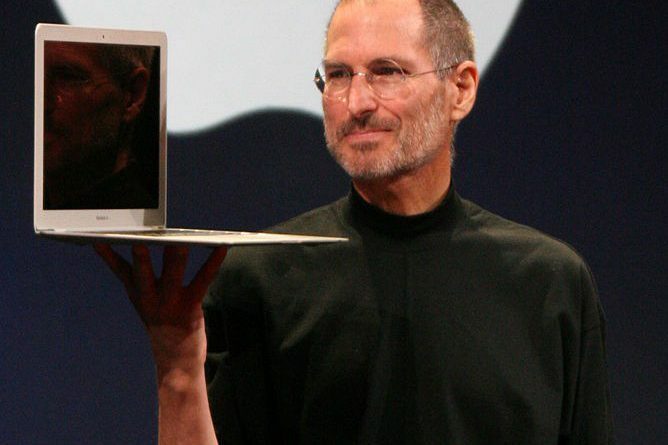 Perhaps one of the most acclaimed religionomic innovators of the information age, particularly from an Eastern standpoint, was Steve Jobs, the cofounder and CEO of Apple Inc. In his biography titled, Steve Jobs, Walter Isaacson describes how Jobs pursued Eastern Religions as a method of attaining enlightenment. Jobs’ interest in Hinduism and Zen Buddhism shaped his worldview as a decision maker. He traveled to India as a young professional, and sought out the teaching of a yogi named Mahara-ji . His desire to pursue wisdom through an ascetic lifestyle and simplicity had a clear impact on his work as an entrepreneur at Apple . Jobs attributed his successful line of products to his focus on simplicity and intuition to his Zen Buddhist and Hindu training . Ultimately, his approach resulted in the establishment of a multi-billion dollar global enterprise, making him one of the most influential economic and entrepreneurial figures of the information age. Religionomics impact decision makers on both a fundamental and pragmatic level. It is in this manner that similarities and differences on economic issues are most visible. For example, from an inter-religious standpoint Hinduism’s emphasis on abundance in economic systems contrasts Western concepts of scarcity. This fundamental difference can have an important impact on decision making. Jewish, Hindu, and Buddhist systems emphasize the pursuit of economic sustainability through non-violent means as a central theological message (among other religions). Islam and Christianity emphasize help for the poor and underprivileged. Of course, the virtues of each religion can be found in one or more of the others. Given the dynamics surrounding these complex comparative issues, can we conclude that all major economic theories have a religionomic foundation, and can society benefit from a shift towards Eastern religionomics? At this point, the theoretical application of a prominent economic case study seems particularly useful. Consider the 2008 economic crisis, in which the collapse of the U.S. housing market occurred due to the packaging and sale of subprime mortgages into high-risk securities. This eventually resulted in the failure of major financial institutions like Lehman Brothers and AIG, and nearly triggered a world-wide economic collapse. During the crisis, many institutions earned the moniker “Too Big to Fail,” an economic term used to describe financial institutions that are so large and so interconnected that bankruptcy would be catastrophic to the welfare of the entire economy. How would various religious traditions react to this event from a pragmatic standpoint? Islamic scholars might argue that the source of the problem lies in system of excessive greed, and Shari’a jurisprudence would have avoided the crises by citing the sale of suboptimal mortgages as riba prior to the accumulation of risk. They would also consider this unnecessary handling of “the property of others,” a notion also common to Judaism. Likewise, Jewish scholars would label the system as excess usury of the poor and prescribe regulatory profit margins of no more than a 20% in order to prevent the accumulation of excessive risk for buyers (a concept common to all of the major religions). Buddhists would agree, but would adopt a more holistic perspective on the financial crisis, and consider the personal effects of happiness and welfare of society in policy making. Of course, Treasury Secretary Hank Paulson labeled the bailout of financial institutions as a “moral hazard” for rewarding institutions that exhibited poor business practices. The Christian tendency might be to deny bailout of the financial institutions, because it would constitute a violation of the Puritan ethic of hard work and dedication as a means of achieving wealth. Companies would be allowed to fail, and markets would “self-correct,” in accordance with Calvinist views on salvation. From a deontological standpoint, each faith tradition has set forth rules that leaders share an affinity for, and eventually develop solution sets utilizing their independent world-views. 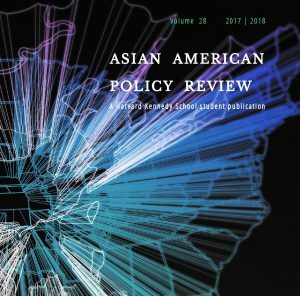 Given the notional scenarios posed above, a potential shift towards employment of Eastern religionomics has the potential to produce unique economic outcomes. While the world’s religions can produce differing economic perspectives for executive leaders, adopting a conscious shift towards Eastern religionomics can also spark important innovations. First of all, understanding the religionomics of an Asian tradition can play a major role in avoiding gridlock between two opposing factions. As a theoretical example, negotiations on the acceptance of milk from hormone treated cattle in bilateral trade talks between India and the United States might require an understanding of Hindu religionomics in order to avoid a potential trade dispute, and litigation in the World Trade Organization. Second, cultivating a perspective on Eastern religionomics would allow leaders to innovate newer, more agile economic theories. Many economists argue that religion and economics should maintain a distinct separation. This sentiment is a bi-product of the rational theories brought forth by the enlightenment thinkers and eventually evolved into modern Western capitalist thinking. While modern economists might believe that such a system exists, the works of Max Weber show how Western capitalism can trace its roots to a form of religionomic ethics. Ultimately, the confluence of religionomic approaches implemented by differing religious perspectives will lay the foundation for newer, hybrid economic theories. Cultural transformation in Communist China in the past 20 years offers an example of a hybrid economy in which the fundamentals of free-market capitalism are fully incorporated into a socialist ideology. The connection is traced to the ethical roots of Chinese religious culture, and the transformation from rural religious lifestyle to consumerism. Recognition of this connection to Eastern religionomics can stimulate the development of new paradigms in economic theory, and challenge previous boundaries once considered taboo in contemporary economics. From a pragmatic perspective, Eastern religionomics encourage leaders to adjust their practices during periods of economic austerity. Adopting Eastern religionomic perspective will also enable leaders to open their aperture on a wider range of ethical frameworks, and draw from the gamut of world-views available to them. Leaders facing extreme budget crises may require Buddhist methods of reducing waste, caring for the environment, and re-energizing their work force. However, an organization plagued with corruption (as in the case of India) may benefit from development of an ascetic (Calvinist) work ethos in their labor force. At the macro level, governments may benefit from adopting Jewish methods of price control when considering bilateral trade agreements with multi-national pharmaceutical corporations. In this respect, offering the full range of solutions posed by a religionomic perspective can open the doors for broader world-view, once the approach is woven into the social fabric of an organization. Given the current state of violent religious extremism in our world, it comes as no surprise that infusion of religiosity in our economic institutions would be met with an air of skepticism. However, the author believes that religionomics is a legitimate pathway to expressing human religious values in a productive fashion. Future global leaders must cultivate and maintain a religionomic perspective in economic decision-making, and can benefit from a incorporating a shift towards theology of Asian religions. Currently, engaging in discussions on how world religions impact economic decision-making rarely occurs in mainstream economic forums (discussions that do occur overemphasize Western religionomic impact). Understanding the dynamics of religionomics in the East is the next step towards convincing leaders that it is a value-added enterprise. A comparative review of five major religions reveal important characteristics and tendencies that impact the economic decisions leaders make. Each of the major religions discussed in this paper offer distinctive views on economics, as well as fundamental theories and pragmatics. Examining economic issues through a religionomic lens also reveals potential innovations leaders can utilize when dealing with a wide range of economic problems. As such, Asian religionomics will be an emerging domain for future global leaders as they develop a better understanding of the cultural forces affecting global markets, and at the same time innovating in the information age and beyond. Ultimately, Pope Francis’ vision is dependent upon the ability to collectively demonstrate that a “religionomic” lens is value-added for global decision-makers. Ravi Chaudhary is currently a member of the Senior Executive Service at the Department of Transportation (FAA) and a member of the President’s Advisory Commission on Asian Americans and Pacific Islanders. He is a retired Air Force Pilot and has logged over 3000 hours of flight time (760 Combat Hours) as a Pilot and Flight Test Engineer. The author would like to acknowledge and offer full attribution to the works of Max Weber, Aaron Levine, Mahmoud El Gamal, and M.G. Bokare, Sulak Sivaraksa, and E.F. Schumacher in the development of this publication. Their works formed the basis for and understanding of world religions and their connection to fundamental economic principles. Special acknowledgement to Dr. Theresa Sanders, Georgetown University Doctor of Liberal Studies program, who assisted with thesis development and sourcing.